Being family owned and operated, Discovery Point Summerfield better understands the dynamic of children and how to help them with their development. 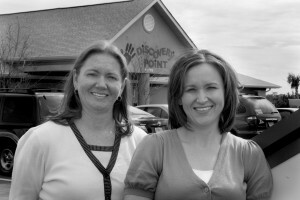 The owners—Maryann Di Leo and Peggy Ballweg—are sisters who dreamed of opening a child care center of their own. As parents with children of their own, they bring special insight and a keen perspective into their endeavor. They understand what parents want from a daycare and work to exceed their expectations. Maryann and Peggy both earned their graduate degrees, but left the corporate world behind to pursue a business of their own. Maryann received her undergraduate degree from the University of Cincinnati with a Bachelor of Science in Health and Hospital Administration. She went on to receive a Master in Hospital Administration from Xavier University. Maryann has been happily married to her husband Daniel for 16 years. The couple has two beautiful children, Joshua (12) and Kayla (9). When she is not working with children, Maryann is an active member of the PTA and loves watching her children play baseball, soccer, and horseback riding. Peggy is a graduate of the University of Cincinnati, where she earned a Bachelor of Business Administration. Not one to shy away from a challenge, she received her Juris Doctor and a Master in Business Administration from the University of Kentucky. Peggy has been happily married for 12 years and is the proud parent of three children, Chase (8), Cassidy (6), and Calleigh (4). 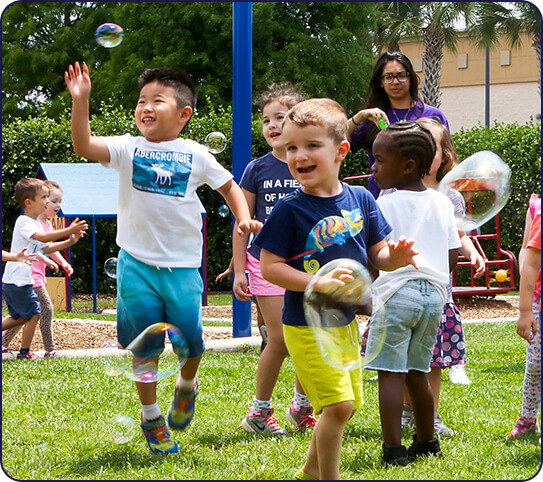 Learn how Discovery Point Summerfield can meet your child care needs in Riverview, Fl. Call (813) 602-7774 to schedule a free, no-obligation tour today!